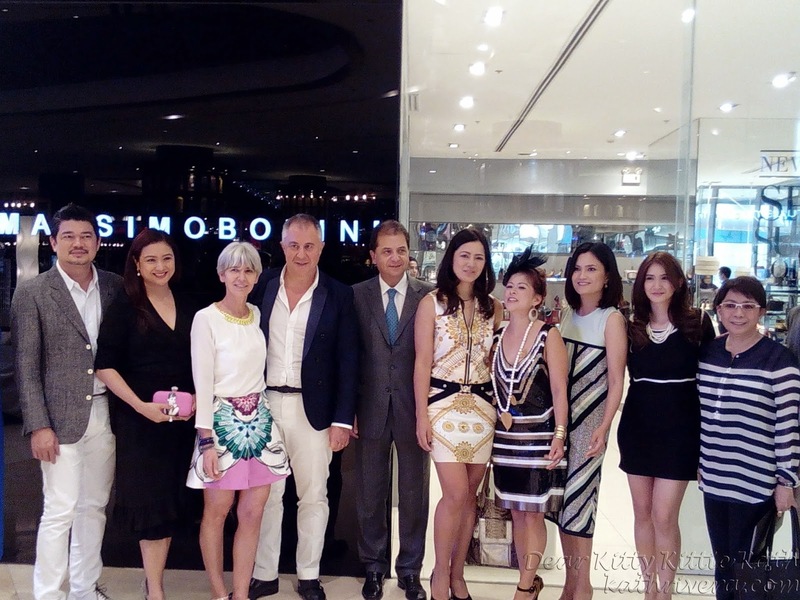 Another remarkable event in the fashion industry happened yesterday as Massimo Bonini formally opens its first store in the Philippines. 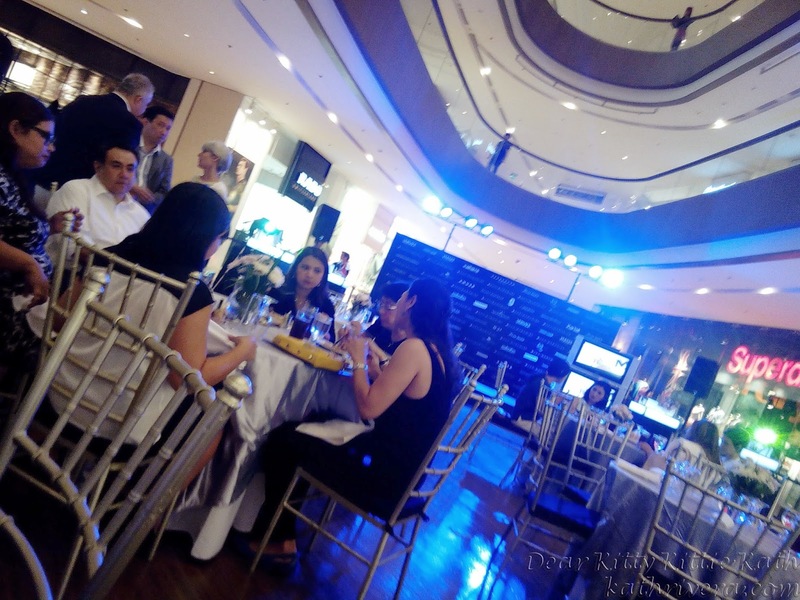 I was very privileged and honored when they invited me as one of their guest as they unveiled their Spring/Summer 2014 Collection together with their brand ambassadors. 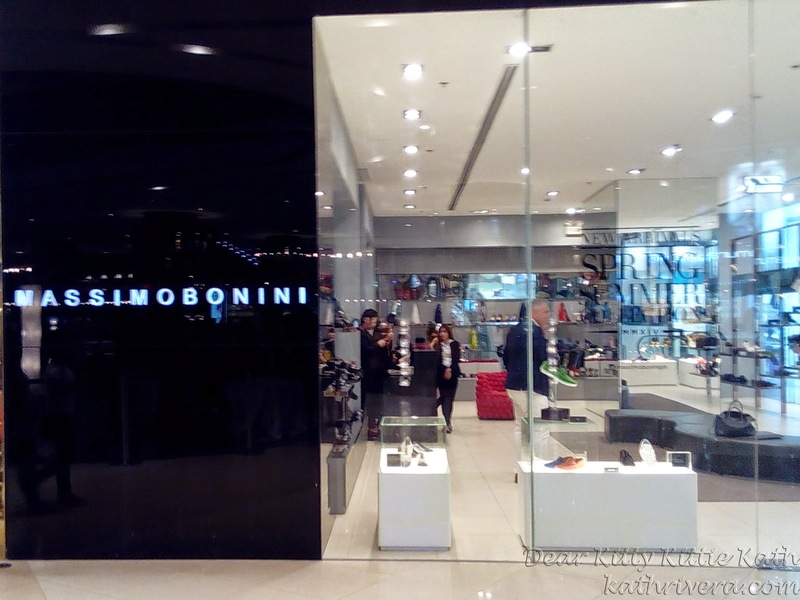 This multi-brand luxury store brought Italy's iconic foot wear, bag and accessory brands closer to Filipino celebrities, socialites and high-end brand enthusiasts. Now that Massimo Bonini opened its flagship store here in our country, I can say there's no need to travel thousand miles going to Italy. Invite your family and friends to visit their store at Shangri-La Plaza and see the much awaited Spring/Summer 2014 Collection. I'll tell you now that once you step inside the store, your eyes will dazzle as you take a closer look on the exquisite designer shoes, accessories and bags. I'll showcase some of the eye-catching designer brands and highlights of the event after the jump. Click CONTINUE READING to see more photos. Massimo Bonini, the premiere Italian showroom for the most exclusive and fashionable lines of footwear and accessories from Italian and international brands which opened its first Philippine store last November 2013 at the Shangri-La Plaza; has recently unveiled the Spring/Summer 2014 collection with no less than Massimo and Sabrina Scarpelini Bonini in attendance. The Massimo Bonini multi-brand luxury showroom, founded in the late 80’s by Massimo Bonini and Sabrina Bonini at the Via Montenapoleone in Italy, was envisioned as a melting pot of renowned brands of shoes and accessories for men and women, produced by the best Italian and international companies and has grown to be a worldwide retail powerhouse which has exclusivity in eighty countries. Creativity, imagination, research, care, sensitivity and passion --- these are the guidelines of Massimo and Sabrina Bonini who were pioneers in believing in the power of accessories when they envisioned Massimo Bonini. The couple believed that the choice of footwear and accessories determines the personality of the wearer. 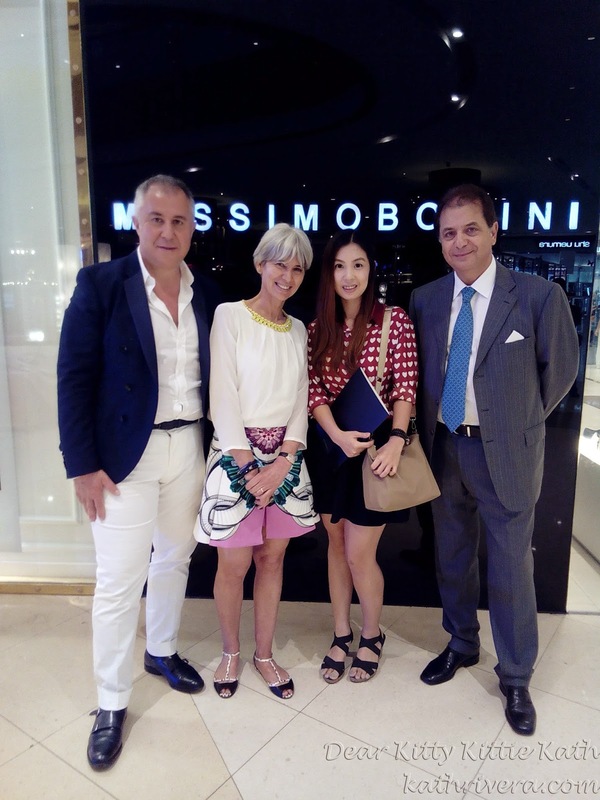 On my short interview with Mr. Massimo Bonini, he said that there's no second thoughts in bringing his luxury retail shop in the Philippines. He knew that Filipinos has a penchant for Italian brands. 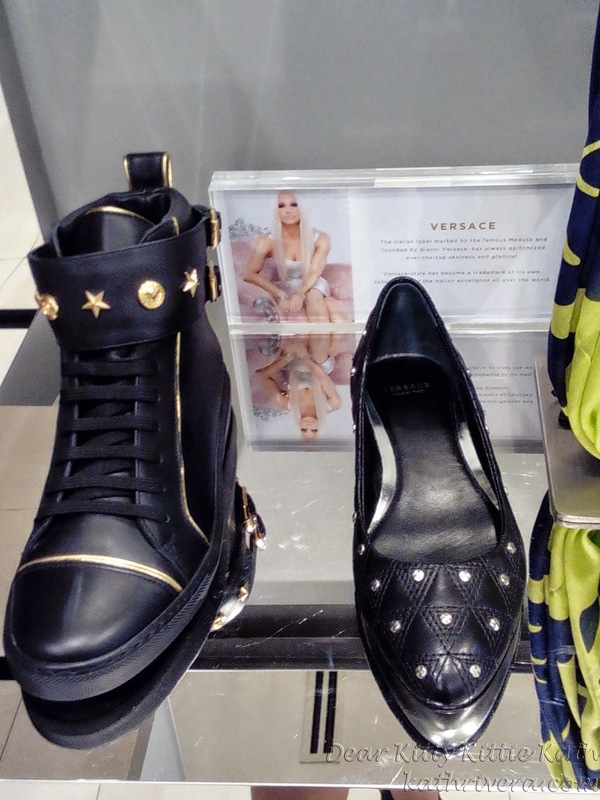 Fashion aficionados trust Italian footwear brands' name and quality. “We are very much confident that the comprehensive range from updated classic styles to fashion forward designs will be a delight to customers who possess strong fashion sense,” Bonini further said. Massimo Bonini is recognized as a worldwide leader for accessories, extremely focused on style and customers care, by making its experience available in order to offer more and more creative and excellent brands. Thank you so much Mr. Massimo Bonini and Sabrina Bonini for having me. 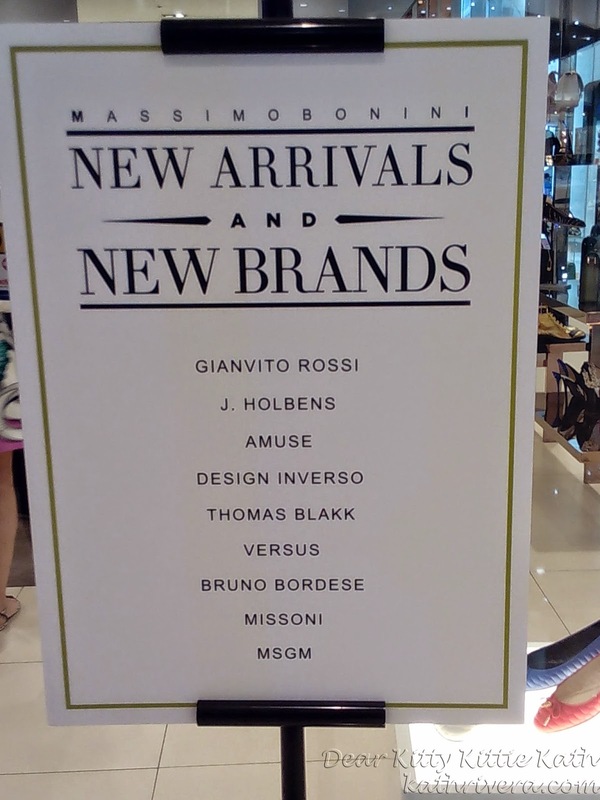 To all my readers, I'll be sharing another post on the Spring/Summer 2014 Collection and the designer brands to watch out for at Mossimo Bonini Philippines flagship store. 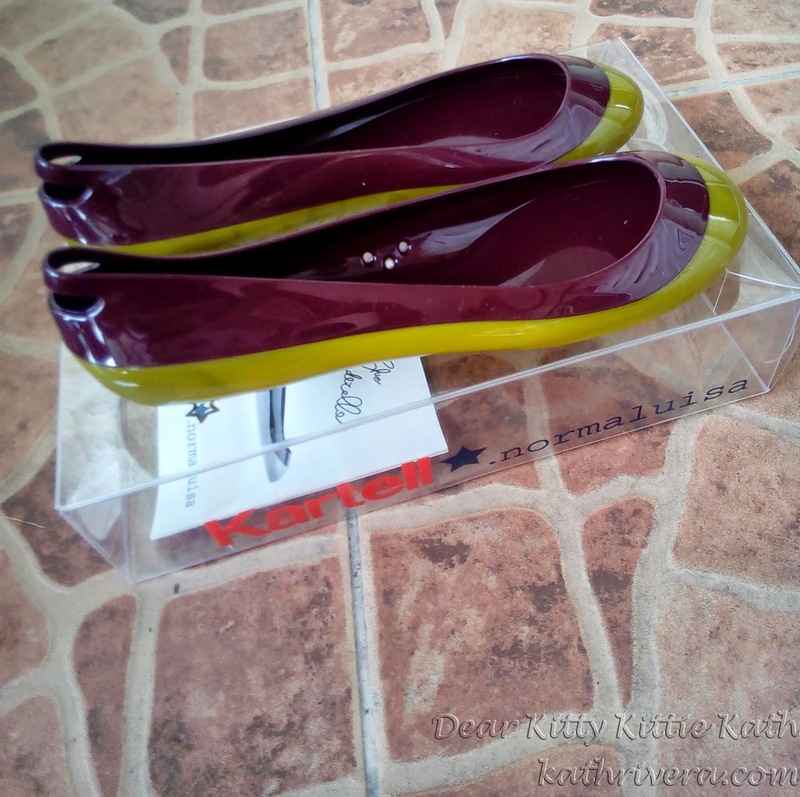 And before I forgot, I wanna say another thank you for the gifts :) I'll be wearing this jelly shoes from Kartell on my next OOTD. This jelly ballerina shoes is very comfy and I love the color combination. Truth be told, you can never go wrong with Italian designer brands when it comes to style and comfort! Massimo Bonini is located at the 2/3 Mid-level Shangri-La Plaza East Wing. I think a pair could suffice for my loved one. Lots to choose from this brand. Those shoes look very luxurious and unique! I prefer wearing platform heels though. 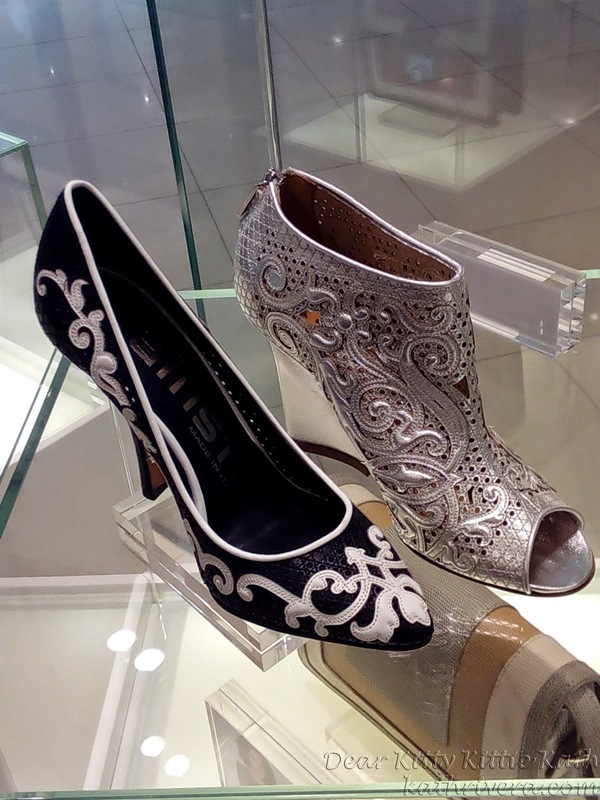 They do have nice elegant designs at Massimo Bonni Philippines. Nice edgy styles of shoes. That is very cool! I wish them success! Love these! Stylish and Elegant. Good finds. 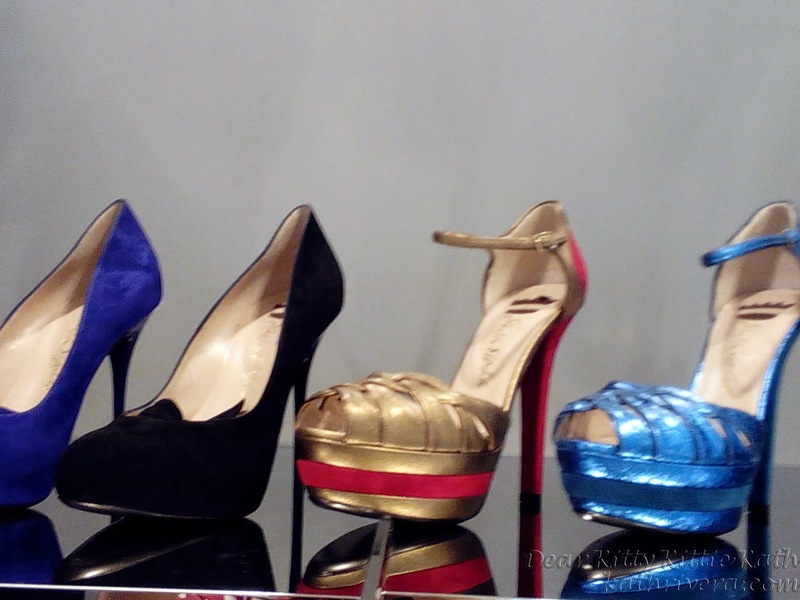 They really have nice shoes and this gives ladies a new brand to look forward to. I love the jelly shoes!! Beautifully made Italian shoes, wow, I bet you were in heaven! Wow Such Retro Stuff Love It All Looks Like You Had A Fun Time!! That looks like a great event. So many great shoes. 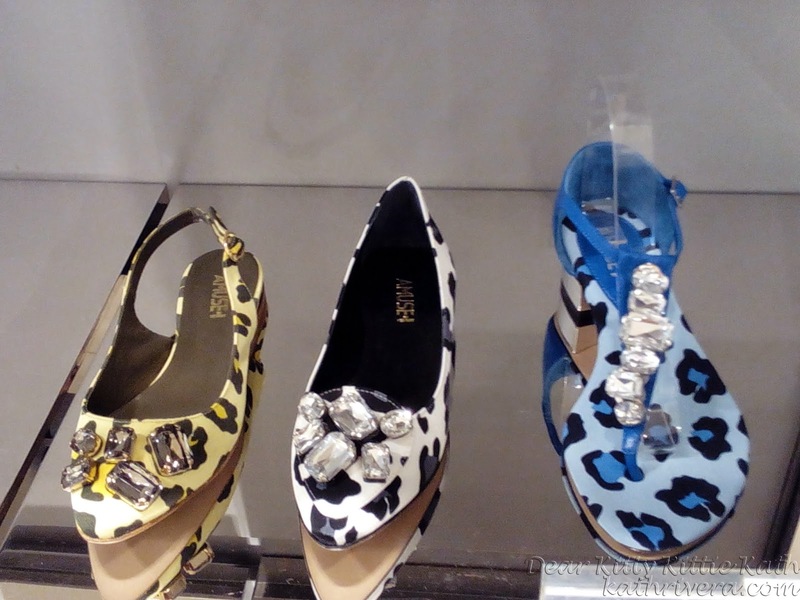 Wow, look at all those amazing designs for shoes! These shoes must be expensive! A pair is a good gift for moms this coming Mother's Day. That boutique has a very unique fashion statement I think it will be a great day to shop there. Beautiful shoes. Love all the designs. I never understood the enjoyment that came from wearing shoes that weren't comfortable... Call me old fashion, I like normal shoes.. Awesome! It's so great that you were invited to the store's premiere! Beautiful shoes! I'm sure they will be super popular! Looks like you had a lot of fun! 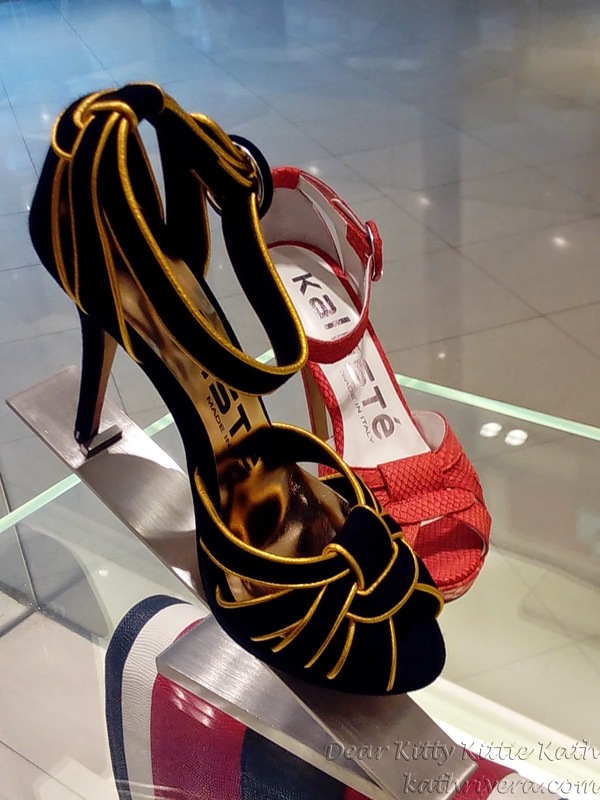 I really like those Kalliste shoes! So elegant! wow ...since they are all designers' brand i guess it will cost me both feet and arms.. but am dreaming to have at least one. 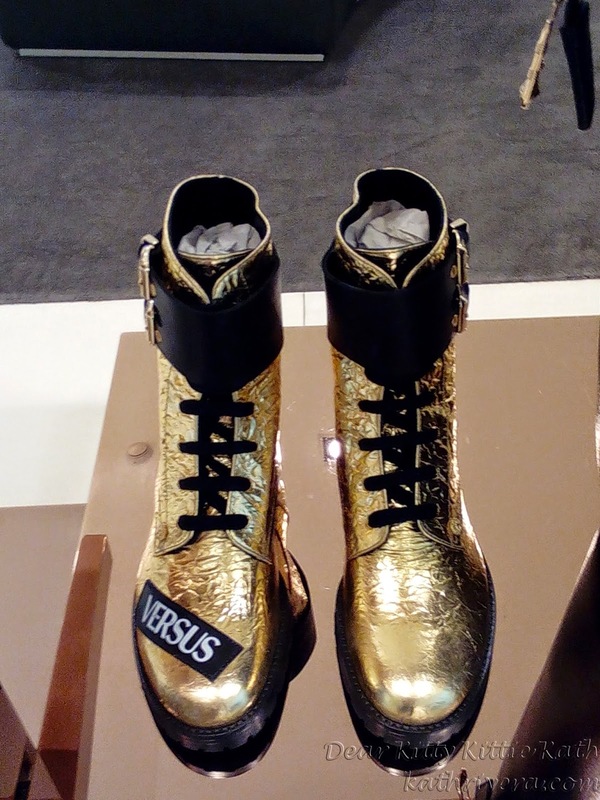 LUV the Versus by Versace bags with the pins!! 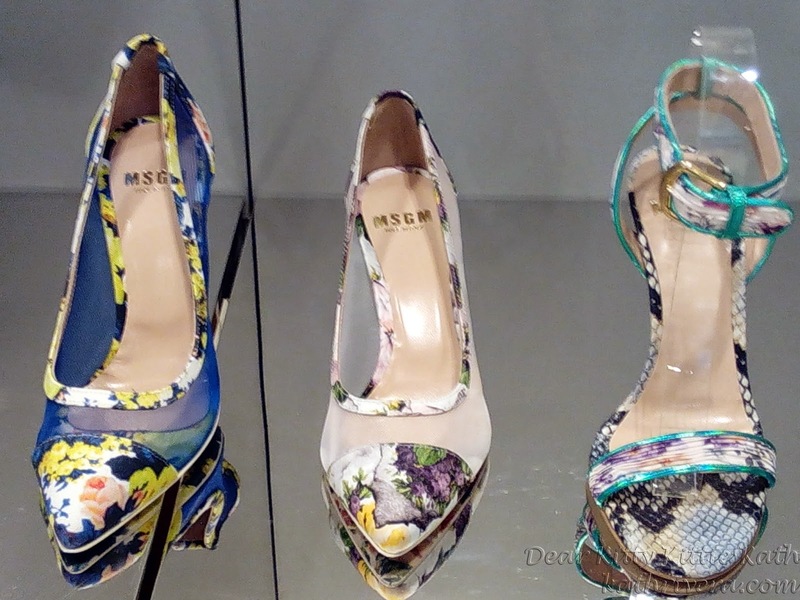 mossino collection are so nice,love the MSGM- oh lovely floral shoes..
Massimo Bonni Shoes are beautiful and unique! wow.. loving those pumps. but i think diko kakayanin mag suot nun maybe di lang ako sanay. but i like your jelly shoes.. looks so comfy.